Bob Thompson from Oak Lake refereed 3000 games in 25 years in southern Manitoba. He began by officiating 75 games in 1970 in Brandon. 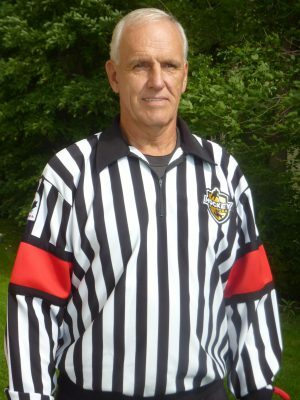 By 1972 he was a linesman in the Western Junior League and at the University level. He obtained his level 6 papers in Toronto and officiated at the World Junior Championships in Brandon and the Western Canadian university finals in Regina. As a registered MAHA clinician, he conducted officiating clinic across the province from the 1970s through the 1990s.